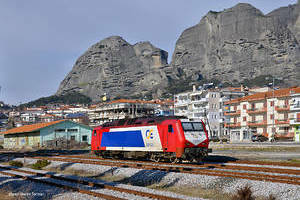 2620.016 with train TL 4200 [Pejë-Prishtinë] in station Pejë. 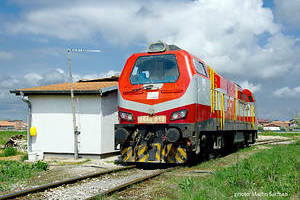 Locomotive 2640.010 shooted in depot Fushë Kosovë at 13.4.2019. 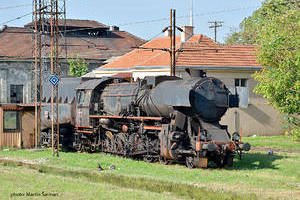 Locomotive 621.113 shooted in area Rudarski basen Kolubara. 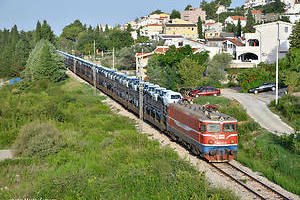 Non-operating former Swedish DMU 710.004 + 009 in depot Zaječar. 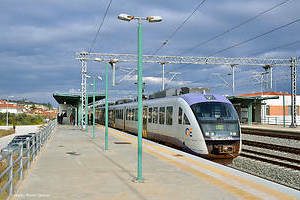 Desiro EMU 460.109/209 with train from Kiáto to Athens. 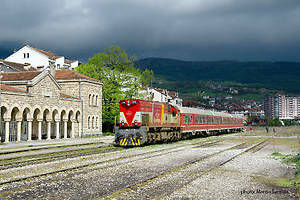 The locomotive 220.033 runs around in final station Kalampáka. 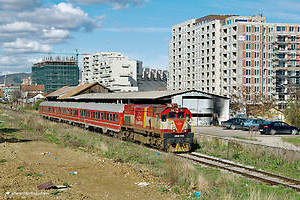 Damaged 460.114/214 and 460.116/216 in depot Thessaloniki. 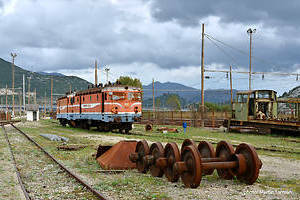 Wrecks of 1141.048 and 111 in depot Ploče. 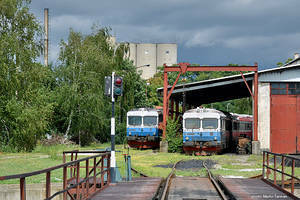 Wreck of 710.007 (ex SJ 1337) in depot Kraljevo at 20.09.2015.